Hulk good. Hulk much gooder than Oliver expected. 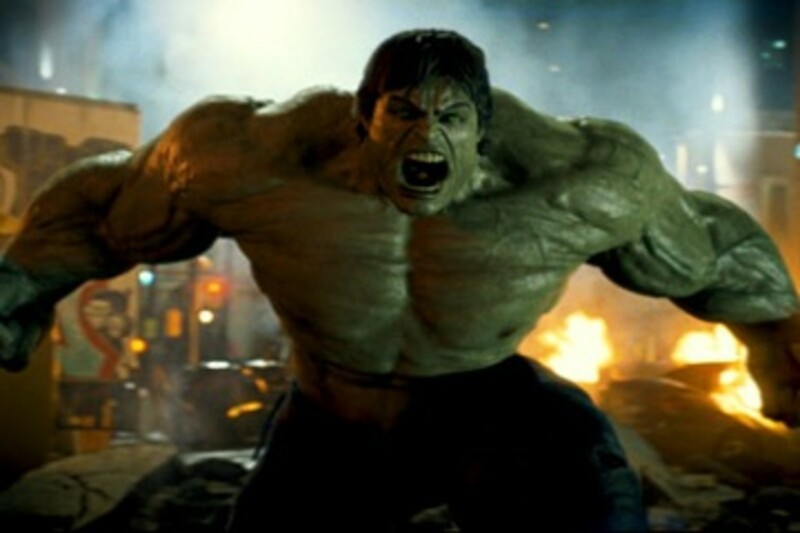 In this Hulk movie Hulk actually fight and smash many things like in Hulk comic book. Oliver think Ang Lee could learn thing or two from this Hulk movie. Liv Tyler too mopey for movie, but sort of easy on Oliver eye. Ed Norton good at showing Bruce Banner pain. Hulk CG pretty good. Oliver like how title sequence set up Hulk story. Plot sort of thin, but me think spectacle of Hulk fights make up for lack of motivation for villain (Him just want to smash, but no have moral compass of Hulk). Cameos by Lou Ferrigno and Stan Lee (and Bill Bixby) funny. For Oliver, Hulk slightly better than Iron Man. Hulk movie also establishing Marvel Movie continuity. Connect to Iron Man and upcoming Avengers. That Good. There no post-credit scene, so Oliver advise you: Don&apos;t bother staying. Hulk: Good Time. He lift up cars and throw. That what Hulk SUPPOSED TO DO, ANG LEE. He Actually Says "Hulk Smash"?